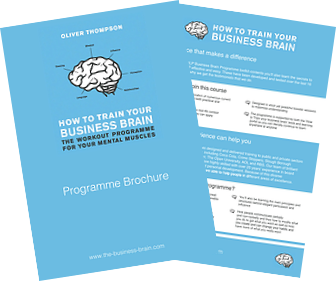 What is The Business Brain Programme ? Well, with the increasing pressures of modern working life we know more and more of you are looking for effective ways to improve the performance of your people and to maximise their interpersonal power not just with each other but with your clients. We also know that there are a multitude of development options available which promise a lot but deliver very little – at a cost too! Why should I attend or encourage my team to go? Because you want to experience a programme of learning that doesn’t just regurgitate the same old business models but provides a practical yet engaging toolkit of modern tools and techniques that are designed to stimulate the mind and generate positive change in everyone who attends. What is the format? This unique toolkit of 6 individual workouts is run over 6 months to provide you with total flexibility and to encourage the digest of information in manageable chunks. You will also have access to our private on-line learning portal where you will find a multitude of exciting tools to enhance your learning experience and support the digest of information. 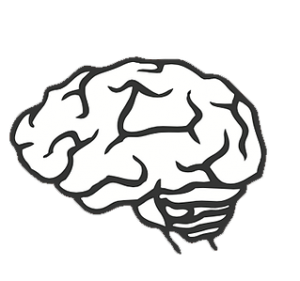 This special Programme has been developed to help you gain more brilliance, awareness, control, understanding and self-expression at work and at play.